Aurobindo Pharma (Pty) Ltd is a wholly owned subsidiary of the parent company, Aurobindo Pharma Limited (Hyderabad, India). The South African subsidiary began operations in August 2005 and has progressed remarkably in South Africa since inception.The initial focus was predominantly state tender business and exports into neighbouring regions. As the South African portfolio has grown, the development of the fully fledged private market team was initiated in 2011. The subsidiary now boasts a dynamic private market team which covers every region in South Africa and sells and markets to various health care professionals covering the various facets of the private pharmaceutical market infrastructure of South Africa. Aurobindo Pharma has leveraged the core competencies and strengths of the parent company which has a robust Research and Development team and an extensive pipeline of products covering numerous therapeutic classes. Currently the product portfolio includes central nervous system, cardiovascular, pain, respiratory, anti-retroviral (for state tenders), metabolic and anti-infective products. This portfolio of products is constantly expanding, supported by our state-of-the-art research and production capabilities in India. Aurobindo Pharma Limited’s vertically integrated business model allows for the manufacture and supply of both Active Pharmaceutical ingredients (APIs) and Finished Dosage Formulations to its subsidiaries, and the support of this global pharmaceutical giant allows us to provide novel and essential generic medicines to both the public and private health sectors of South Africa. Aurobindo products are manufactured to the highest GMP standards as the manufacturing facilities have been approved by the most stringent and reputable global regulatory authorities including the Medicines Control Council (MCC), US Food and Drug Administration (US FDA), World Health Organization (WHO), UK Medicines and Healthcare Products Regulation Agency (UK MHRA), Health Canada and the Australian Therapeutic Goods Administration (TGA). The manufacturing prowess of the parent company coupled with the dynamic sales and marketing capability of the subsidiary results in the provision of quality pharmaceutical products which are highly accessible and affordable of to all South Africans. 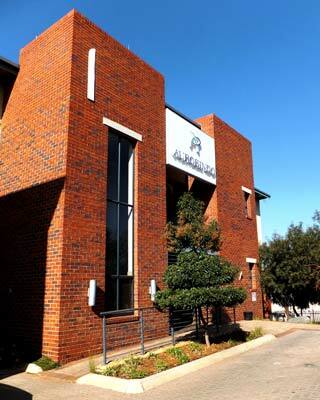 You are now leaving the Aurobindo Pharma South Africa website. Please be aware that the global Aurobindo Pharma website may contain information on products and indications not licensed in South Africa. We recommend that you consult with your physician or other healthcare provider to obtain more information about any Aurobindo Pharma prescription medication. The Marketing Code Authority (MCA) requires that this information be password protected. Please call us on +27 11 867 9100 or contact your Aurobindo Representative to request a password.